Having bought a dental chair at a very expensive cost, at one point in time, it may develop faults. This may really get you upset and worried as a dentist. You then have to start thinking of different options, a total overhaul or a repair? Well, often time to be on the safe side considering the cost required, a repair is always the best option. That automatically means you need to turn to a dental chair technician. At this point, you want to be really sure you turn to a technician that really knows his onions. A dental chair technician, or just dental technician, is someone who specializes in the repair of dental chairs and other related dental equipment. They have extensive knowledge of electronics, which is a major criteria to be a technician. Some others have experience in the medical field or possess special certifications. These certifications include the A+ certification, which is awarded for exceptional skill and knowledge. It is somewhat safe to say that dental chair technicians are one of the most versatile technicians the world have to offer. Having both knowledge of medicine and engineering is such a great accomplishment. One would believe they are paid big! Well, are they? We would find out as you read on. Dental chair technicians test and repair the dental chairs, and usually other dental equipment, used in a dental office. They use a digital multi-meter, and strategically work in an organized manner without much supervision. This is one quality of engineers; they have the ability to work without supervision. As a dental chair technician, there are many things you need to notice. One of them is paying very close attention to details in order to fix these complicated machines. You will observe that most of the time, the dental chairs require fixing and updating. That being said, a dental chair technician is also open to doing other similar jobs such as installing other dental equipment. With the vast amount of knowledge gathered, a dental chair technician should not get restricted to repairing dental chairs alone. He should be more than glad to explore different options. This is the reason why they need to brush up their mechanical skills to proficiency and ensure that reading schematics is not a problem. However, the world is turning in a direction of computers and software. This is all the more reason why a good dental chair technician should have knowledge of troubleshooting software and servers. It is really important. With the world of technology is experiencing a fast bloom, a good technician needs to be up to date on current trends in the software world. Importantly, he must also be familiar with the functioning of most dental equipment. This is where directing a worker at the dental hospital would come in handy, just to perform less complicated tasks. Being a dental chair technician, or a general dental technician, you would work full-time during regular business hours of the week. In some cases, you might take up evening shifts or even weekend shifts to ensure you can complete tasks without pressure or disturbance. On occasion, they deliver equipment and make house-call repairs. House-call repairs and equipment delivery would require that the technician has great customer service skills. This is because there would be a lot of interaction with the customers. If your customer service skills are less than good, you should get other skills to add to the plate. Skills like strength cannot be overemphasized. This is because at one point or the other, you would do a lot of moving and lifting of equipment whenever necessary. However, customer service skill is still important and must be taken seriously by every dental chair technician. They must also follow every one of the federal, state and BHR guidelines to the letter to ensure product quality. Product quality is also based on the skill levels of the dental chair technician. An experienced dental chair technician would do a better job than an amateur, even if they both follow the set guidelines. In the process of turning to a good dental technician, knowing the functions of one is really important. This is so you get some things clear about what they do and what they certainly can’t do. In as much as the functions of a dental chair technician are simple, there are more to them than we know. These functions give a broader insight on all it entails to be a dental chair technician. A dental chair technician inspects and tests all dental equipment that are not functioning well to ensure they run properly. Dental chair technicians use tests and analysis instruments to achieve this, and knowledge of these devices are important. Technicians do not have disassemble a device just to detect faults. Modern devices are used, and all they need to do is plug it to the faulty equipment. The device scans the faulty equipment and gives the technician the full details of the defects and every other related information. A good technician must have acquired a good knowledge of how to use this device in order to keep up with the pace of the fast changing trends and competition. Not only that, a dental chair technician explains and demonstrates the right method of operation of the dental chair and other dental equipment. They also explain maintenance and prevention of faults to the medical staff. There are times where it might be impossible to get to the faulty device, and all the technician can do is call the dentist or any other staff to explain the necessary steps to fix the dental chair. It is important that a dental chair technician possesses good communication skills. This is because the dentist or any other staff might get confused along the way when using the technical terms only understood by the technician. In addition, a good dental chair technician performs preventative maintenance. They clean, lubricate and make the necessary adjustments whenever required. It is often said that prevention is better than cure. A good dental chair technician should always be on the look out to prevent the dental chair and other equipment from developing faults. The technician is to make adjustments, clean as well as lubricate the equipment at regular intervals to prevent development of faults by the machine. They keep records of the times they carried out maintenance, repairs, and updates of the dental chair and other dental equipment. In order to keep track of all the repairs and maintenance measures you took on machine, the technician must keep records to avoid mix-ups. This record keeping allows the technician easily detect when the machines develops a fault and how frequent maintenance was observed. They disassemble the malfunctioning equipment to remove, repair and replace the faulty parts. This is the technical part of the technician’s job. It should only be carried out by a certified technician, and should be done when major faults arises. The disassembly and reassembly of the dental chair should be done with utmost care. Anything removed from the dental chair should be replaced with the appropriate part or fixed back properly. This is to prevent leaks and other circuit issues from destroying the dental chair. These responsibilities are hectic, especially for a full-time dental chair technician. One would even assume they are paid quite well, and begin to aspire to become a dental chair technician. To break the sad news to you, you would need a lot of experience to start earning big as a dental technician. The earnings of a dental technician has a pay by experience kind of rating, and this rating has a positive trend. Entry-level dental technician with no more than five years of experience would earn an average of $41,000 a year. This figure is based on a survey carried out on the salaries of 19 entry-level dental technicians. This salary includes bonuses, tips, and overtime pay. Therefore, you would need to gather experience and improve your skills fast enough to reach the mid-level status in your career. The mid-level experienced dental technician with about 5 to 10 years of experience would earn an average total of about $44,000 a year. This figure was gotten from a survey of 14 mid-level career dental technicians. Fully experienced dental technicians with experience of about 10 to 20 years would earn an average of $47,000. This figure was gotten from a survey of 21 fully experienced dental technicians. The last section is the late-career experience dental technicians. These late-career level technicians earn about $61,000 for having over 20 years of experience in the field. This figure was gotten from a survey of 17 late-career dental technicians. The flow of earnings from the beginning of the career of the dental chair technician to the peak of their career follows a distorted pattern. The first five years of their career experiences a linear-like increase from about $40,000 to $45,000. The total earnings at this stage is usually from adding bonuses, tips, and extra shifts. The salary at the mid-level of their career is usually slightly linear in relation to the fully-experienced level of their career. The salary here is usually from $45,000 to $47,000. However, there are exceptions and other factors that can alter this figures. Once the technician has gone past the experienced level and is now moving toward the late-career point, there is an upward spike of the salary level. An increase from about $47,000 to over $60,000. If you are a really patient person, you would get there someday. To be candid, is any job worth it? A lot of people are content being artists and would detest the thought of being a doctor. Others are happy as mechanics and would not even buy the idea of being a sailor. Either a job is worth it or not is left to you. This is a decision made by you at your discretion. However, there are a few tips to help boost your motivation about a job. We would discuss that here. One of the major factors considered by most youngsters before taking any job is the benefits of doing the job. Would there by tips? Would I have days off? What is the workload? How much is the salary? These are common questions most youngsters ask whenever they are faced to make a decision about taking a job. The great news here is that dental technicians are more satisfied with their jobs than you would imagine. Reporting a 5 out of 5 star rating from a survey carried out on a number of dental technicians. This reported extreme satisfaction is often termed as gender bias as there are more males than females in this section of the medical occupation. There are about 97% of males in the dental technician line of medical occupations. The reported 3% of females may not necessarily be as satisfied with the job as their male counterparts. However, cumulating all their views; both male and female, indicated a satisfactory level of job satisfaction. Well it is true that different jobs have their benefits and downsides. There are some occupations out there that do not get you tips and bonuses, but you get a top grade health insurance that most jobs do not offer. Other jobs expose you to a lot of tips and bonuses, but have no health benefits. There are numerous benefits of being a dental technician. Although these benefits might not be as profound as other occupations, they are satisfactory to a certain extent. You get up to 72% of your medicals covered. This is an appreciable amount, considering that you would not have to get much medical insurance. You would have to discuss with the clinic to know the parts of your health the 72% covers. This would prevent you from having issues with your health insurance and the medical coverage your employment provides. You also get 54% of you dental health covered. For someone that repairs the equipment used by the dentists, one would expect more than 54% of dental benefits. However, you should ensure that you harness this privilege as some employers do not offer up to 54% of dental benefits or any amount of dental benefits at all. Just for being the dental chair technician, you get about 48% of your eye health covered. This is a satisfactory amount, if all considerations are in place. Health benefits are not as much as this in comparison to some other jobs. There are a thousand and one reasons to be a dental chair technician. The bonuses, the tips, the health benefits, the paycheck, etc. you get to be an engineer with the knowledge of a dentist and nothing beats that. To become a dental chair technician takes a lot of discipline and commitment. It is as important as being the dentist. Any fault in the dental chair from your incompetence can lead negative effects on the dental patient on the chair at that moment. You have to ensure that the dental chair is regularly maintained and checked for faults that might develop in future or sooner than later. If you are the type that really loves mechanical work, being a dental technician can really be a fantastic way to kick start your career alongside your job of interest. It is true that having to be a dental technician is certainly not what initially strikes your mind when you want to choose your career. However, this is necessary. With the load of work being faced by dentists these days, they really do not have time to repair their worn out equipment themselves. They are extremely busy that once they discover part of their equipment is not in its proper shape, they start being on the lookout for a technician to get it repaired immediately. With that in mind, how about we go through the process of learning how to repair dental equipment? 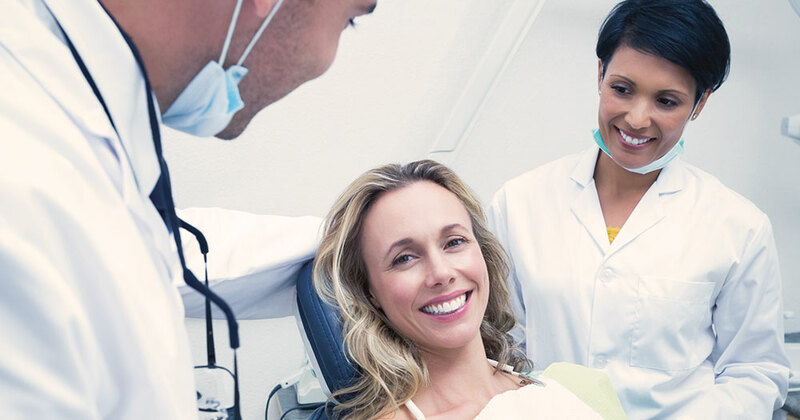 Put yourself under the supervision of a professional dental technician. This gives you the opportunity to get exposed and see how repairs are done on different dental equipment. Offer to take a training course in dental equipment repairs. Some courses provide you with just the simple knowledge of repairing an equipment whereas some give you lead on the tools you need in order to start. Reach out to dental offices nearby. Make a research on the type of dental equipment they often use. Go through their manuals and download some tutorial videos on their repairs. Then try troubleshooting. Make a research on the tools you need to get the equipment repaired. Start practicing repairs on the dental equipment. This would get you used to the equipment better and build your confidence. You can even walk up to your personal dentist and ask if you can practice with some of his used equipment. With these processes, you are already underway to start your career as a dental technician. With much practice under your belt, you will soon become one of the top rated technicians ever known.